What's Your Foreign Car Rental Story? Hello, I just got back from 10 days of vacation in France, and I missed you all very much. * One of the highlights of the trip, sort of, was that we rented a car to drive between Paris and Nice. 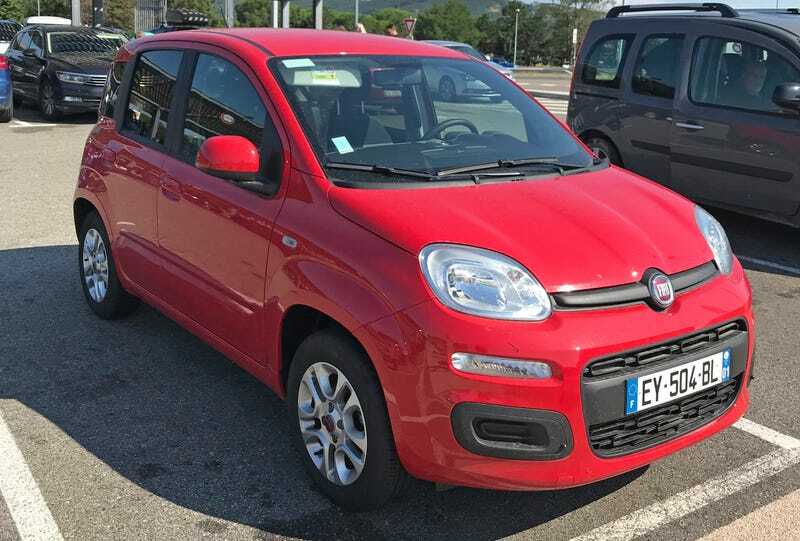 I wanted something I really could never get back home, and while it wasn’t a new Citroën or Skoda, it was a Fiat Panda, and that was European enough for me. The whole experience got me thinking about your rental car experiences abroad. Do you have any interesting stories from when you tried to do that? I was hoping I’d come back with more of a crazy tale from the whole experience, but it was pretty straightforward. I was hoping to score an Alpine A110 or Renault Megane RS press tester, but the pickup and drop-off on those didn’t work with our schedule. It was fine in the end, as I’m glad I didn’t have to deal with parking across 10 days and multiple cities. But I did score the Panda for a little bit, and it was fine! All fine, I suppose. The Panda is one of those cars that Jalops always say they wish was sold in America, but in normal, non-4x4 guise, it’s not exactly inspiring. It’s a good, solid, basic, super practical mini-minivan thing. It basically drives like a bigger 500, but it’s not as cumbersome as the 500L, which everyone seems to hate. Once I got over the initial thrill of renting a car with a five-speed manual transmission, it was just... a car. Nothing mind-blowing, but the kind of cheap, solid, basic transportation that’s increasingly hard to find in America as we kill off our small cars and move to huge, expensive crossovers financed across a decade at insane interest rates. Anyway, the Panda—packing an earth-shaking 1.2-liter naturally aspirated engine—was perfectly fine around town, but out on the Autoroute, I really had to work the gears hard to get it up to an acceptable speed. Once I did, however, it was happy to do 80 mph (130 km/h) all day long. I wish I could have tried the trick TwinAir two-cylinder turbo engine, but that wasn’t an option at the rental counter. I was glad to be done with it once we arrived in Nice, because it was one less thing to deal thing when I was trying to enjoy my vacation. We took the train back to Paris, and I’d actually recommend that unless you’re planning an actual driving tour across Europe—or you score the keys to something that’s actually worth driving on good roads. Other rental cars I would have been happy to try: the Renault Twingo, the Volkswagen Up. So that’s it for me. Sorry there’s no more drama here, but since I only sprang for the cheap insurance, I’m glad there wasn’t. What’s your foreign rental car story?